In April next year ( 2019 ) there will be some sort of a Kelly convention at Chiltern, not far from Beechworth, a fund raiser for the Chiltern Athenaeum. One of the speakers has already announced what his topic will be: Constable Alexander Fitzpatrick: “I’ll be doing a presentation on this bloke at the Kelly event in Chiltern next April and I won’t be holding back.” And then he says, in what is probably an understatement, and somewhat ominously “I don’t like this bloke”. 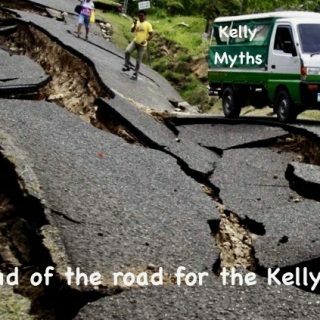 Of all the people Kelly sympathisers hate, and there are many, Fitzpatrick is without doubt the person Kelly sympathisers hate the most. 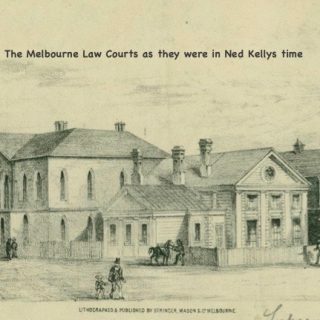 They all claim, as did Ned Kelly himself that the entire Kelly outbreak is Fitzpatrick’s fault because he lied about what happened at the Kelly house when he went there to arrest Dan Kelly in April 1878. They mostly allege that Fitzpatrick was a drunk, a bumbling but treacherous fool who made a mess of his attempt to arrest Dan, and then to get himself out of trouble concocted the story of an assault. Some say the police hierarchy jumped at the opportunity to escalate the fracas into an attempt to murder a policeman so they could put as many of the Kellys away as possible. The bloke who will be giving the Lecture at Chiltern next year, Alan Crichton, believes theres much more to it than that. 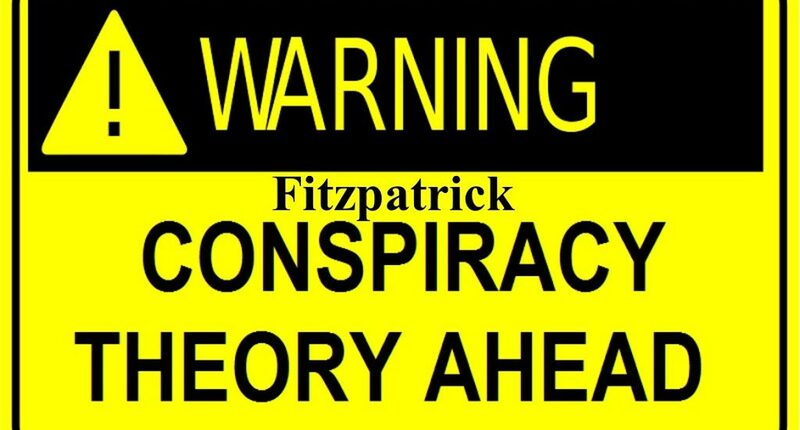 Several years ago he developed and wrote up a conspiracy theory about the episode, and for a long time its been available on the Iron Outlaw Site, in an article called – wait for it – ‘The Fitzpatrick Conspiracy’. He wrote “the whole scenario at the Kelly hut on the 15th of April 1878 was one big setup by police long before Fitzpatrick’s arrival at the hut”. I expect that is what he will be expounding on next year at Chiltern. Now, for the benefit of everyone who reads this, and in particular for the many people in the Kelly world who don’t seem to be able to tell the difference between playing the man and playing the ball, please understand that what follows is not an attack on Alan Crichton. I have never met the man and know nothing at all about him except for the fact that he likes to write about the Kelly story. But this essay is not about him – its a critique of the claims he has made about the Fitzpatrick Affair in that article. Crichton’s conspiracy theory is that the motivation behind the entire Fitzpatrick affair was that the police wanted to imprison Mrs Kelly: “The police knew how much Ned and his siblings were devoted to their mother. She, after all, was the heart and soul of the formidable clan”. What they needed was an excuse to get into her house, and a policeman who could be manipulated into going there and causing trouble. 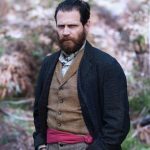 According to Crichton’s conspiracy theory, to insert their man into the scene, Brooke-Smith, created a temporary vacancy at the nearby Greta police station by sending its usual occupant, Senior Constable Strahan, to NSW to search for Ned Kelly. 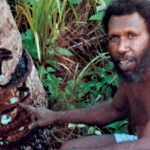 Theres also a story that Strahan was off sick – and Crichton thinks that if that was the case, it was a ‘sickie’, a fake illness that provided an excuse to have him off work. Either way, with Strahan out of the way, Brook-Smith and Whelan were able to send in their hand-picked stooge, Fitzpatrick, to replace him and to do their bidding at the Kelly house. The last piece in Crichtons conspiracy theory is his belief that Fitzpatrick was such a coward that he wouldn’t have been persuaded to visit the Kelly homestead unless he was first assured that Ned Kelly himself wouldn’t be there. 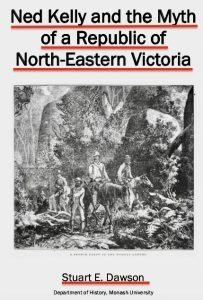 Therefore according to Crichton, Whelan and Brooke-Smith told Fitzpatrick that Ned Kelly was in NSW, and Strahan had been sent there to try to find him. So, according to Crichton’s theory, primed by his superiors lies, Fitzpatrick saddled up at Benalla on Monday april 15th, and headed off to take his temporary appointment at Greta. With Whelans encouragement, he would stop off at the Kelly homestead on his way past, start the planned ‘aggravating confrontation’ and arrest Dan Kelly if he happened to be home. I am not sure if Crichton or anyone who has read this theory over the years realises it, but it undermines some of the important pillars of the mainstream Kelly myth, the most important one being that this was all Fitzpatrick’s doing. Instead, according to Crichton, Fitzpatrick was as much a victim in all this as the Kellys were, an unwitting tool in the hands of his scheming superiors, their “quite dispensable sacrificial lamb” Accoding to Crichton Fitzpatrick was tricked by Whelan and Brooke-Smith into walking into a situation that was bound to go badly, given their understanding of Fitzpatrick’s incompetence and the Kellys state of mind after years of police harassment, a virtual powder keg waiting for a match. If Crichton’s theory were to be believed Fitzpatrick has to be seen as a figure of pity, a weak pliant and pathetic individual who was duped and sacrificed by his superiors, and as a result had his career ruined and his reputation forever and falsely blackened. If Crichton’s theory were to be believed, the true villains were Whelan and Brooke-smith, not Fitzpatrick. If Crichton’s theory were to be believed it would mean that for 140 years the Kelly sympathisers have been directing all their venom and hate at the wrong police. Another thing Kelly sympathisers would have to abandon if Crichton’s theory was accepted is their long-held view that Fitzpatrick disobeyed orders when he visited the Kelly home. They say that police were ordered to never go there alone – but he did, and so they say, in addition to all his other personal faults, Fitzpatrick was insubordinate, further proof of his unfitness to be in uniform. But according to Crichton his superiors ordered him to go there, and they were happy for him – indeed they wanted him to be – alone. So if Crichtons theory is to be believed, Fitzpatrick was doing exactly what he was told to do. Somehow, I don’t think Kelly fanciers really want to give up hating Fitzpatrick, but if they are going to adopt Crichton’s conspiracy theory, they would have to. They are struggling already to let go of their attachment to the unhistorical Republic theory – could they let go of the man they love to hate so much, Alex Fitzpatrick, and instead see him as a figure to be pitied? If they wont do that they will have to reject Crichtons conspiracy theory. Next weeks post will be part two of my critique of Crichtons conspiracy theory, which like most conspiracy theories has a superficial plausibility but which on close analysis turns out to be completely untenable. Dee, I think that many of us have "Fitz-P Fatigue." I, for one, am just tired of hearing about this dude. 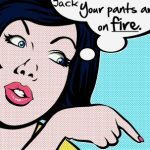 Forgive me for saying so, but I groaned when I saw your latest post about him was only part 1! Surely there are other things to write about? There are so many unusual and interesting aspects to the Kelly saga that can be looked into or looked at more closely. For instance, who really knows the full on details of the telegraph workers at the siege of Glenrowan? Even though I have been very deeply steeped in all things Glenrowan starting way back when I was first helping Dave White with his websites, I found myself actually learning some new things lately. For instance, nowhere else have I seen anyone mention the fact that while the telegraph operator was sending out news of the destruction of the Kelly Gang, he literally had one of them (Joe Byrne) laying dead at his feet. That blew me away! After doing a bit of in depth research on the telegraph workers, I was inspired to write a new article all about them for my long-neglected Eleven Mile Creek blog. It is called "Supt. Sadleir Trolls the Telegraph Workers." HI Sharon thats a terrific article you've written. Somehow I had acquired a vision of the telegraph operater doing it from the top of the pole – now thanks to your Blog Post I realise that what happened was that he climbed the pole to attach wires that were then run back down to a room in the Station, and he did all his work from there. The way public and press had access to the crime scene and the criminals dead and alive was amazing! In regard to Fitzpatrick you may have Fitz-fatigue but clearly the Kelly sympathisers haven't – they have been busily venting their hate for him on the FB pages and no doubt will be looking forward to Crichton's demolition of him at Chiltern next year. I thought it worthwhile getting in early and challenging his view, maybe giving him an opportunity to think again about what he might say, and arming people who might listen to him with some facts and alternative thinking on the topic so they can challenge what he says if he sticks to his usual script, which as I hope you would agree is fake news. Sorry but theres part two to go up if I finish it tomorrow – or Sunday – and there will be a Part three as well! Hi Sharon. Hope all well. It has been a long time. Even though Brian Johnson is now gone, I'm still stomping along to AC/DC!! Not a huge fan of Axl fronting the next album though.. Anyway, regarding Fitzpatrick. I disagree respectfully. There is still an awful lot to discuss. Whilst we have talked forever about his visit to the Eleven Mile, I would like to investigate his "loosey goosey" womanising ways. We know he ended up marrying Anna Savage and we also know he stayed loyal to his family through the years, despite is transgressions with the law. I believe he was also a good father throughout his childrens childhood in Lyddiard St Hawthorn. I am keen to know more though about his dalliance with Ms Meredith Mackay though. And possibly Kate Kelly. I believe Ned saw a kindred spirit in Alex initially, hence their becoming intertwined. Which obviously gave Alex access to Kate. Anna must have been a very tolerant, loving wife, that's all I can say. It was quite moving visiting their graves in the Box Hill Cemetery. They both lay in a peaceful, verdant corner of the place. And another thing. What was it that Smythe saw in young Alex to recomend him to Captain Standish for the Police force? All very interesting. But Mark what is the origin of stories about a relationship between Fitzpatrick and Kate? I think whats needed is a thorough review of where that story came from – my deep suspicion is that its a fabrication aimed at further trashing Fitzpatrick. I also think the fact that his marriage to Anna Savage was long and by all accounts successful says a whole lot about his character. BTW tomorrows post will raise the same issue but I am afraid I dont have any revelations. Other avid Kelly researchers hopefully will contribute what they know, though I think some may hesitate to challenge the orthodoxy about Fitzpatrick that he was the lowest of the low. Dee. The so called "origin" of stories developing about Kate simply lays with Fitzpatrick being friends with Ned. And being in the circle. People just joined the dots. Based on his previous form. That's all I can really say at the moment. Until I start digging into it. Mark, it will always and forever be Bon Scott for me! 🙂 "Dirty Deeds Done Dirt Cheap" will always be one of my favorite songs. He just had that rare combination of great talent, great off the wall wit, and off the charts animal magnetism. I think the band should have called it quits when Brian had to retire due to health reasons. Axel just does not fit. I am really fed up with the whole Fitzpatrick affair business when it comes to the outbreak, but when it comes to Fitzpatrick having affairs, now that is some soap opera type stuff that I can appreciate. Molony really lays it on the line more so than any other author when it comes to FitzP and his predatory predilections. Mrs Savage writing to Standish on her daughter's behalf and him telling FitzP either marry or get sacked was totally off the wall. Who does that? I just don't trust Fitzpatrick as I have known too many men like him. He is a snake charmer and a charming snake! It was Ashmead who had something about a romance between Fitzpatrick and Kate Kelly. Enough said on that source. There is no way to find out what the real go was with all of these matters, but it is fun to speculate and gossip. Dee, thanks, glad you liked it. Too funny that you had the image of someone literally pole-sitting while sending telegrams! Hope my article sets the record straight for any others who had the same notion. You know me, I am always looking at things in a different way than others. 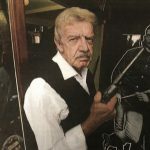 That said, another fun thing I did not say anything about in the article was the advertisements on the board outside the Glenrowan railway station waiting area. At the SLV website you can download a high resolution image (big file like 65 MB) and then zoom in and you will see advertisements for The Monster Clothing Company and an advert for a Pale Ale. There is what looks to be an illustration of a small white dog doing something. Not sure if that is part of the ale ad or not. I just considered those to be fascinating. Has anyone else ever noticed those in siege photos? Yeah, I am always looking at the mundane things like tiny ant hills when there are majestic mountains all around! Three parts??? Oh, well, you will have a trilogy like Morrissey will eventually have. BTW, where is his new book? Thought it was coming out by now? I'm enjoying your take down of Steve Jager's conspiracy plot, Dee. He isn't a well-known kelly expert. His recent republic response was rather dim-witted. Hopefully, he will put in a lot more research and effort into his Chiltern presentation. Frankly, i'm not holding my breath. For a Scot, 'It's a Long Way to the Top (If You Wanna Rock 'n' Roll)' with Bon playing the bagpipes is a fave. I play the pipes myself. No easy task. Enjoyed our chat yesterday very much. I'm not Dee! But I think there is no evidence whatsoever that there was ever any connection between FitzPatrick and Kate Kelly or, for that matter, between Ettie Hart and Ned. There is just no archival evidence, but that does not disprove each and every possibility I guess. I think you mean Alan Crichton's conspiracy theory. 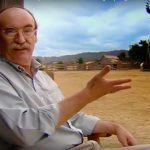 It will be interesting to find out if he is simply going to double down on the now disproven Kelly dogma or do what someone genuinely interested in the truth of what happened back then should do, and incorporate the findings of Stuart Dawsons research into his talk, and tell the true story at long last? Like you I am not holding my breath. What is amazing is that Bon had learned how to play the bagpipes just so he could do that part in the song. Not bad for a beginner. Loved the video for the song, too. Yes. Thank you for the call Mr T. Very much appreciated. Good to talk. And very interesting too. Correct. No archival evidence. But a bit of dot joining and Alexs form suggests a strong possibility of a liason. Thats my opinion anyway. .
Quick one Sharon. Can I suggest you read "Bob Scott: The Last Highway" by Jesse Fink. Published last year. Absolutely fascinating. I think we finally know now how Bon died. Just ran across this bit regarding Doug Morrissey's book launch for Ned Kelly : Selectors, Squatters and Stock Thieves. It is set for Wednesday August 29, 2018 in Carlton and Leo Kennedy will be a special speaker.